Andy McIndoe is no newcomer to Chelsea Flower Show, having masterminded Gold Medal winning exhibits in the Great Floral Pavilion for the past 25 years. However, this year sees him embark on a new venture at the world's greatest flower show. Andy and fellow RHS Chelsea Gold medallists, floral designer Pip Bensley and garden designer Paul Hervey-Brookes are weaving their collective magic in Jardin Blanc, an exclusive hospitality area at the show. Here guests will be treated to the ultimate day at Chelsea with food by Raymond Blanc, hospitality by Sodexo Prestige in a garden world designed by Banbury Walker, brought to life with plants and flowers by Andy, Pip and Paul. But what happens to all those wonderful plants after the show? 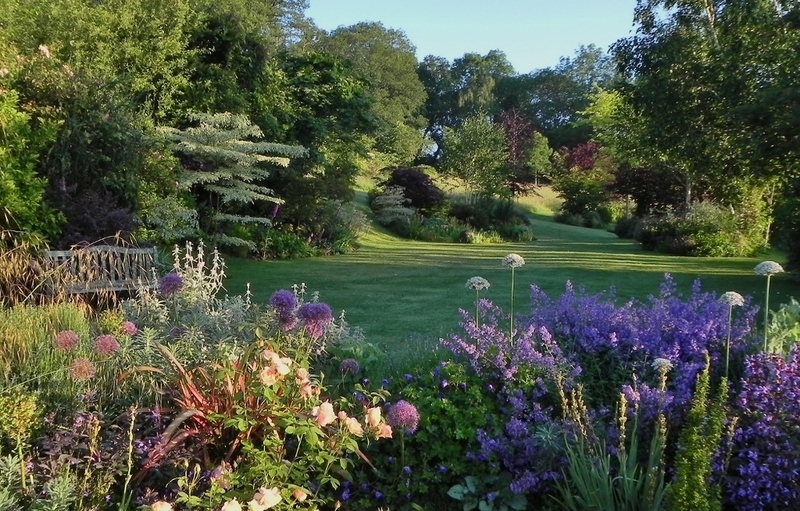 They return to Sandhill Farm, Sherfield English, the garden of Ros and Andy McIndoe which has welcomed groups by appointment for several years. These plants will be available for sale at a Plant Lover's day on 30th May when Andy, Paul and Pip will be answering gardening questions and helping you to choose plants for your garden. The Allomorphic speciality curated tea service is making the journey from Paul’s exclusive shop in Stroud to provide refreshments and home- made bites on the day. Come and share your love of plants and gardening and pick a few new treasures for your plot. Entrance fees (£3 per person) and a percentage of the proceeds will be donated to the Greenfingers appeal, which is dedicated to providing magical gardens for children's hospices, and to Perennial, the gardeners' own charity. Andy is a trustee of Greenfingers and Paul is a Perennial ambassador, both have worked with the charities for many years.